Since 2013, the Home of the Mother consistently goes on missionary expeditions to indigenous communities in eastern Ecuador. 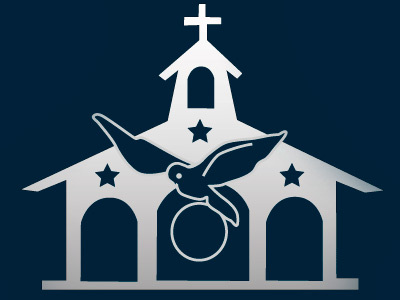 The communities belong to Mushullacta, a parish of the Apostolic Vicariate of Puyo. The goal of this project is to help the indigenous tribes spiritually so those who wish can become children of God. They are eager to hear about God, and little by little they are receiving baptism and other sacraments. and on a material level, to give them the support they need to live with the dignity proper to the human being. We collaborate with Fr. Pedro Olives, the parish priest of this area, to help him reach the most distant communities. 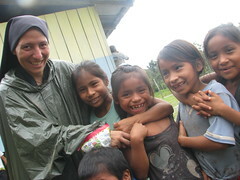 These communities can be found deep within the jungle, living in extremely needy and dangerous situations. Their diet consists in little more than yucca and plantains. Deaths do result from malnutrition. They face the danger of snakes, scorpions, tarantulas, etc. Their houses sometimes only consist in four beams and leaves as a roof to protect themselves from the frequent rains of the Amazon. They suffer from many illnesses because of the lack of hygiene and running water. 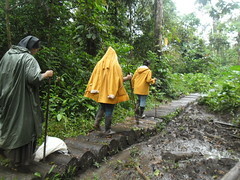 The Servant Sisters of the Home of the Mother and lay HM members make periodic missions to Puná Island, the third largest island in Ecuador. The members of the Home of the Mother have noted with amazement the extreme poverty of these people. The health centers do not have medicine or material for a simple stitching of a wound. There is only one priest to attend to the entire island, and he manages to reach the communities only once a year due to the long distances between the communities and the difficulties during the rainy season. It is a land in desperate need of mission. We need your generosity to give these people decent living conditions! With the missionary dedication of the Home of the Mother, we hope that, with the help of the Lord, we can evangelize and conquer souls for Jesus Christ.